Located downtown close to highway 63, Manning Place is a perfect family building which is only minutes from Peter Pond Mall, the Superstore, entertainment and, MacDonald Island and Snye Park. Manning Place has bachelor and 3 bedroom unit options available. Each Apartments has large balconies with views of Downtown and Snye Park. 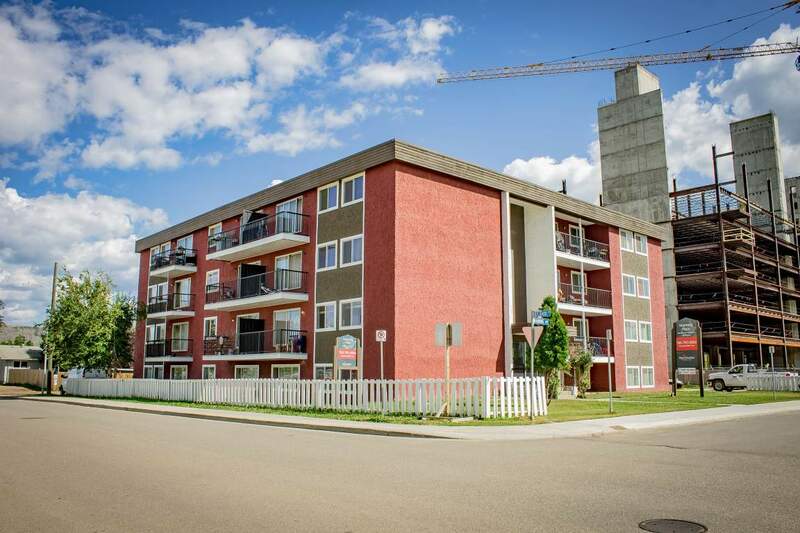 The apartment building is perfect for people who work downtown and on MacDonald Island Park. Manning Place offers furnished and unfurnished options for all 1 and 2 bedroom suites. Furnished suites include a bed/mattress, dressers, dining table, couch, chairs, coffee, side tables, and TV stand with a TV. While we are trying to include kitchen items with all furnished suites, not every item will be included. Please contact us for complete details.